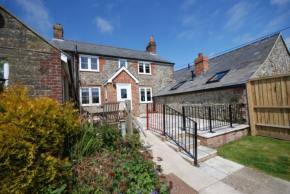 This detached holiday cottage is one of 9 luxury buildings on the Nettlecombe Farm. With all the essentials you need for a toddler/child friendly holiday. Facilities include 4 play areas and a Wendy house as well as the working farm which has been in the family for over a century. 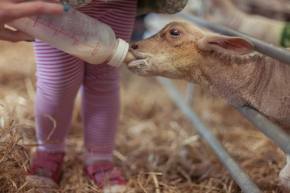 The resident ‘farmer John’ takes daily feeding tours, allowing children to feed the lambs and see and handle a number of animals. 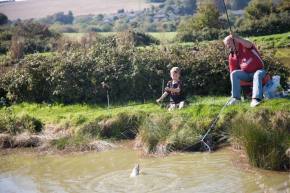 Parents can relax with a spot of fishing in one of the 3 lakes, free of charge to residents, or take part in yoga classes. There are also 200 miles of cycle paths to explore on the Isle. 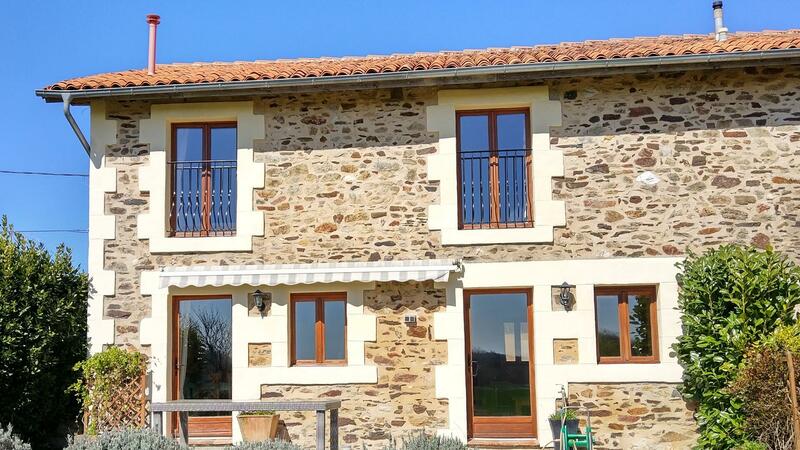 The stunning stone cottage with all of its original features is a great place for larger families and gatherings. 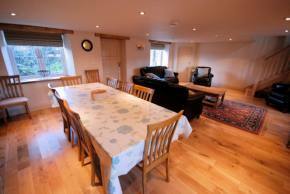 It has a delightful open plan lounge and dining area. 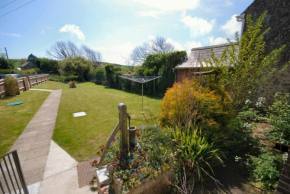 The property sleeps 8, 1 twin (downstairs) 1 double (with en-suite) 1 king and 1 set of bunks. 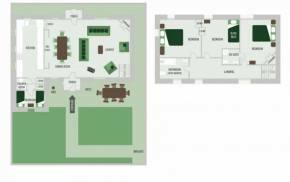 There is a further bathroom with bath, shower and toilet and a shower room with toilet. 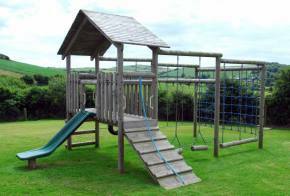 The property has a large garden suitable for children’s play and alfresco dining. 3 miles from seaside town of Ventnor. 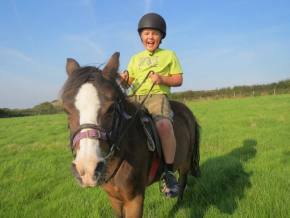 Voted as one of the best family-friendly farm stays by the Guardian and Telegraph. The Isle of Wight can be found off the south coast of Southern England and is linked to the mainland ports of Lymington, Southampton, Portsmouth and Southsea by vehicle ferries, high speed passenger catamarans and hovercraft. The Isle of Wight has two major car ferry operators, Red Funnel and WightLink.